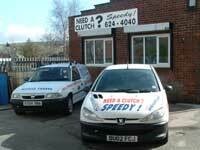 I would encourage any potential customer looking for a clutch Specialist to ask friends/other vehicle repairers for their recommendations for a suitable repairer,most garages don't want clutch replacements,but usually know who you could and who you couldn't trust.Search on the internet for satified customers (you will find very few),Satisfied customers very rarely have the time or inclination to leave positive comments...BUT a dissatisfied customer will tell thousands and leave plenty of negative comments.they are not hard to find. We are Clutch only specialists,we dont do ANYTHING else. 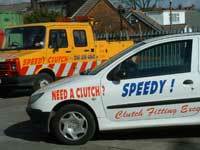 Stuart Nutter Owner/partner Speedy clutch.Only in Oldham. future customers that the service and longevity of repair they receive is no accident. fault is easier to repair than first thought. please give us a call – our service is second to none!